A fabulous quartet of flavours – the richness of the cream cheese is cut through with the acidity of lemon and the earthy tang of olives. 1 Add the pitted olives to a blender and blend until almost smooth. 2 Transfer the olive mix to a fine sieve and sit it over a bowl to drain any excess liquid – around 5 minutes should do it. However, if your olives were in liquid it might take a little longer. 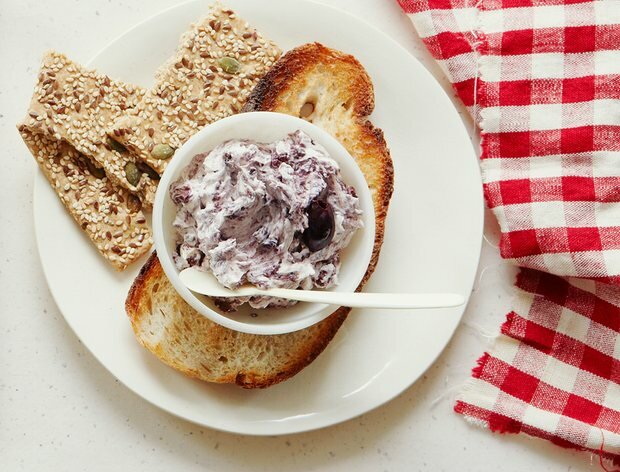 3 Next, add the cream cheese to a mixing bowl with the olives, lemon juice and black pepper. Carefully fold together until incorporated. 4 Place a round pastry cutter in the centre of a serving plate, add the paté and tamp down. Remove the ring and serve with some dressed leaves and hot toast. Grilling a whole fish sounds daunting, but it’s incredibly simple and requires almost no preparation before cooking it. This recipe is courtesy of Epicurious. Whisk together lemon zest, juice, salt, and pepper. Pour in the olive oil in a stream, whisking until combined well. Whisk in olives and chopped oregano. With a sharp paring knife, make 1-inch long slits at 2-inch intervals down the middle of the fish, on both sides. Brush the fish all over with vegetable oil, and season with salt and pepper. Season fish cavity with salt and pepper, and fill the cavity with 3 lemon slices and 3 oregano sprigs. 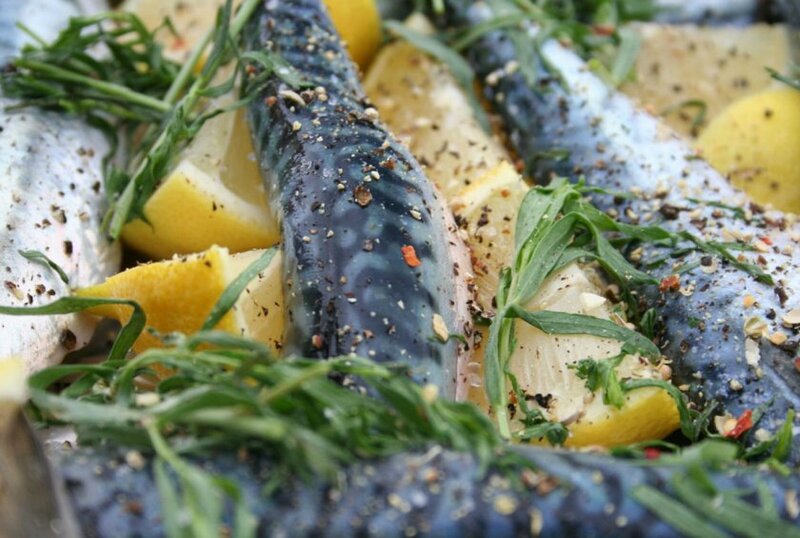 Arrange remaining lemon slices and oregano sprigs on top of fish and tie fish closed with kitchen string. Preheat grill to medium-high heat for cooking. If using a charcoal grill, open the vents on the bottom of the grill before lighting the charcoal. Grill fish on lightly oiled grill rack, covered only if using gas grill, for 15 minutes. Turn fish over using a metal spatula and tongs, and grill for 15 more minutes, until just cooked through. Transfer fish to a large serving platter, remove kitchen string, and pour lemon-olive sauce over the top before serving. 이제 우리 Inolivia 홈페이지가 한국어로도 안내가 되어 있음을 알려 드립니다. 그래서 한국분들도 이제 한국어로 올리브에 대해서 배우고 우리의 제품을 음미하실 수가 있습니다. 우리 홈페이지 www.inolivia.com 에 당신을 초대합니다. Olives are one of those unique foods that don’t only taste delicious, but also offer many health benefits. It is however important to learn how to choose a good table olive, since they vary extensively in appearance, flavour and texture. The first characteristic to take important notice of is of course the appearance of the olive. The olive must always looks physically appealing and it must make you want to eat it immediately. Physical defects are not good. Next important point is smell. A good olive will always smell great. The aroma will give a good indication of how the processing was managed as most of the volatile components are a result of the fermentation process. If not fermented, the aroma is usually that of the added ingredients, like garlic, herbs and various other flavourings. An off-fermentation will be noticeable on the nose, and any off-odour is totally unacceptable in quality table olives. Right so now we get to the taste. As with anything, taste and flavour are very subjective, so we always suggest that newbies to olives start with a blander product, just like they start new wine drinkers with a sweeter wine. Once hooked on these little delicacies, then move onto products with more flavour, the natural olive flavour in particular. A fully fermented table olive should display a balance between the natural flavour of the fruit, the natural lactic acid and the added salt and vinegar. A good table olive should have a degree of firmness in the flesh, without being tough or woody. The skin should not be too tough and the flesh should detach from the pit quite easily. 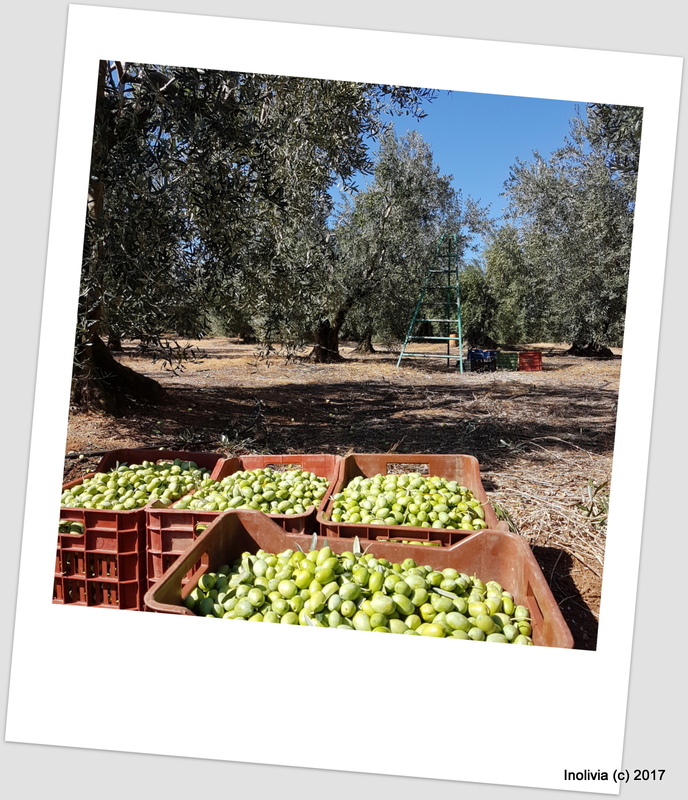 The texture is determined by many factors, but most importantly is when the olives are harvested and cultivated. The methods of processing play an important role, which can either maintain the texture of the olive or compromise it. It’s important to experience as many different styles and flavours as possible and in so doing, build up a profile of the olives you like. 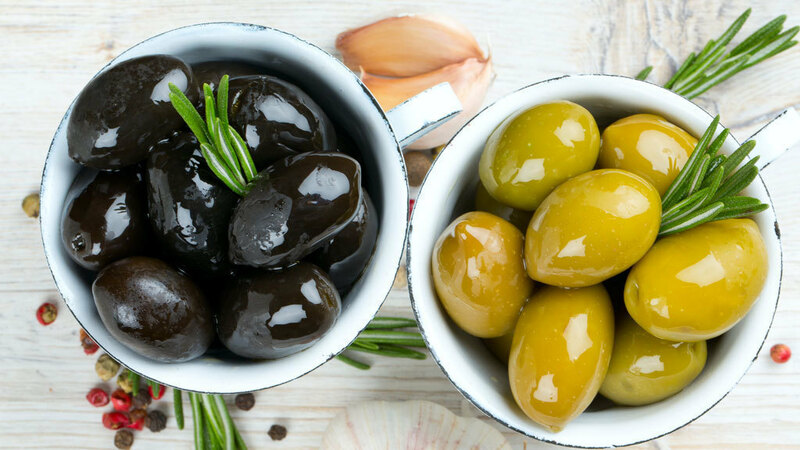 Atalanti – From the town of Atalanti in eastern Greece, these purple-green Greek olives are pale, medium-round with a luscious, fruity flavor and fleshy texture. They are packed in vinegar brine. California black – Firm black olives with a mild flavor. Green olives are cured in a lye solution that causes them to oxidize and turn black. California Sicilian – Large green olives with a sharp taste. 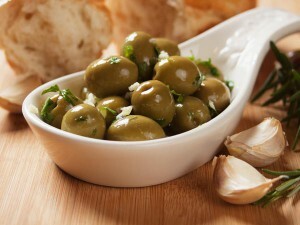 In 1769, olives were introduced to California by the Spanish. 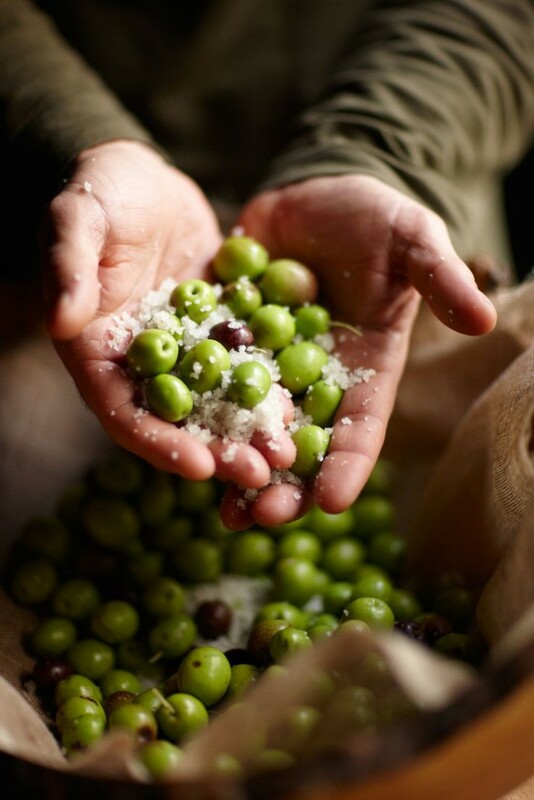 Today, California produces about 200,000 tons of commercial olives per year. Chinese preserved – Shriveled medium-sized olives cured with salt, sugar, or honey and licorice root. Greek green – “Prasines” are firm, fleshy, large, round and purplish-green. They have a mild, fruity flavor and crunchy texture. Green cracked – “Tsakistes” are large, firm green olives with cracked flesh, but not to the stone. They marinate in oil mixed with herbs, garlic, lemon, onion, or fennel. Their sharp flavor pairs nicely with cheese. Greek Prime Minister Antonis Samaras is calling on manufacturers of traditional foods and beverages, from fish-roe producers to honey makers, to play a bigger role in transforming the country into an export economy. Greece, which saw exports fall 0.2 percent to 27.3 billion euros ($37.5 billion) in 2013, needs food and beverage companies to catch up with export-oriented industries like fuels and do more to help pull the country out of a six-year recession, Samaras told industry representatives on the island of Lesvos May 13. Greek exports of agricultural products including food, beverages and vegetable oils rose 3.5 percent by value in 2013 to 4.75 billion euros, according to the Panhellenic Exporters Association. At around 17 percent of the total value of Greek exports, the food and beverage industry trails fuels and industrial goods like machinery and chemical products as the country’s top export category. Greece’s economy contracted at its slowest pace in four years in the first quarter, the Hellenic Statistical Authority said May 15. The European Commission forecasts that Greek GDP will grow 0.6 percent this year, its first annual expansion since 2007. This recipe is part of the vegan Meatless Monday recipe series. As you may know, encourages eliminating meat from your diet one day per week to preserve the health of our planet (and ourselves!). Making a great vegan meal doesn’t have to be a daunting task as today’s vegan lentil and eggplant patties with olives and herbs demonstrate. This great recipe comes courtesy of Gourmandelle, an amazing vegetarian food blog full of great recipes and beautiful images. Strain the lentils very well and put them in a large bowl. Cut the eggplant in half and scoop out the pulp. Chop it and put it in the bowl. Add the mashed potatoes (or beaten eggs), chopped onion, parsley, sliced olives, mashed garlic cloves, breadcrumbs, sea salt and pepper. Using a fork, or your hands, start mixing the composition. It has to be sticky and easy to mould. If it’s not it means that you didn’t strain the lentils very good and the composition is too wet. No problem, just add more breadcrumbs until it has a dough-like consistency. Cook the patties – bake or light fry. Light fry: Spray a non stick pan with some oil. Put each patty on the frying pan and let it fry about 1-2 minutes on each side. Bake: Grease a large pan and place the patties. Cook 15 minutes on one side and another 15 on the other, at 180C. These vegan lentil and eggplant patties with olives and herbs can be served on bread or a roll with your favourite toppings or with a lightly dressed green salad. They are satisfying in both a nutritional and taste sense. You’ll love them. 8. Clean and lightly oil your mixing bowl and put the dough back into it. Cover with a damp tea towel or lightly oiled cling film and set it aside to prove. This gives the yeast time to work. Let prove for about 1 – 1.5 hr or the dough is double in size. And that’s it. 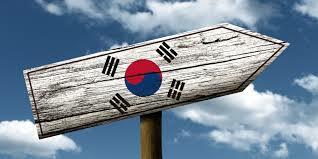 Can you smell them already? The most interesting thing people tend to do with halved grapefruit is sprinkle sugar on top, which is not only boring but also counterproductive. Grapefruit tastes great by itself (unless you’re afflicted with the same taste-bud disorder as Waldman), but when you sprinkle sugar on it, the flavor contrast makes the fruit taste unpleasantly tart. Grapefruit tastes much better if you pair it with salty ingredients, like olives, which offset and highlight the grapefruit’s subtle sweetness. This recipe, inspired by an orange recipe that Mark Bittman collected from a vegetarian restaurant in the south of France, pairs grapefruit segments with olive purée that looks a little like guacamole and is about as rich. Usually olive tapenade contains lemon juice, but this ultra-simple purée doesn’t need any, since the grapefruit provides plenty of acidity already. 1. Remove the grapefruit peel and pith with a serrated knife, then separate each grapefruit into segments with a paring knife, discarding the membranes between each segment. 2. 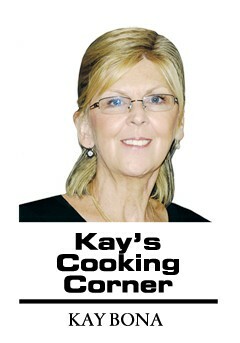 Put the olives, olive oil and rosemary in a food processor; season with black pepper. Process until the olives are almost fully puréed. Top the grapefruit segments with the olive purée and serve immediately. Olives – Olives are rich in vitamin E, which increases blood flow to the hair follicles and stimulates growth and vitality. The oil in them also keeps hair soft and flexible. Eating olives can also decrease split ends and reconstruct the hair fiber to prevent dryness and breakages. 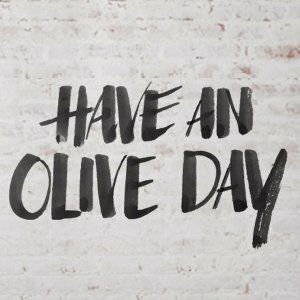 Try Inolivia Olives. Chia Seeds – These seeds contain omega-3 fats, which improve the integrity of elastin and keratin, creating thick, voluminous tresses. The fats also nourish the scalp helping to boost shine. Rice – Rice is highly concentrated in biotin, a B vitamin that helps improve the elasticity of hair and reduces brittleness. Eating rice can also nourish the hair follicle and stimulate hair cell renewal, which can help lead to thicker strands. Black Beans – Black beans contain iron, zinc, biotin and protein – all important building blocks for the hair that strengthen and prevent chronic breakage. Green Tea – We can’t tout the power of tea enough. Drinking anti-oxidant polyphenol-rich green tea will improve your skin and boost your beauty. You can also apply it topically. Washing your hair with green tea or applying it directly to the scalp could help fix troublesome dandruff and add shine. Start a large pot of water to cook pasta. While water is coming to a boil, prep the other ingredients. As the water reaches boiling, heat olive oil in medium sauté pan over medium flame. Salt pasta water generously and start cooking pasta. Add sausage to sauté pan and cook, stirring frequently and breaking up meat with a wooden spoon, for about 2 minutes. Make a hole in the middle of the pan and add onion. Cook, stirring frequently, for about 2 minutes. Toss onion and sausage to combine, then make another hole and cook garlic until fragrant, about 45 seconds. Mix everything together, then make one last hole and add tomato paste. Cook paste for 1 or 2 minutes, pressing it into the pan to brown slightly. Add a ladleful of pasta water to the pan (about 1/2 cup). Add artichoke hearts and olives and toss everything to combine. Reduce heat to low. Season lightly with salt and generously with black pepper. When pasta is on the very al dente side of done, drain (reserving additional pasta water) and add to sauté pan. Toss to combine and let cook for a minute or so to let pasta absorb some of the sauce, adding more pasta water by tablespoonfuls as needed (I added about 3 tablespoons). There won’t be a sauce per se with this dish; it’s more a coloring and coating (and flavoring) of the pasta. Taste and adjust seasonings. Divide between two shallow bowls and serve. So you think extra virgin olive oil is only good to season your salad? Chefs and pastry-chefs already prove that extra virgin can play a leading role among other, more classical ingredients in their original and elaborate recipes. 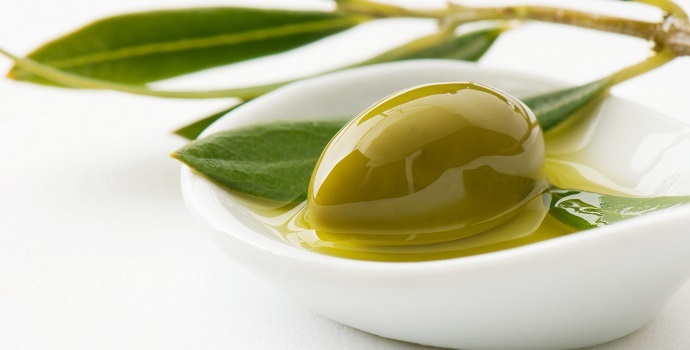 But lately, companies and researchers all over the world are experimenting with new applications, exploiting the olive’s inner qualities such as taste, health benefits or as a power source. In 2009, Italian designer Giulio Patrizi launched Eco Fast Furniture, a completely sustainable outdoor furniture range being made of totally recycled and recyclable material, Ecomat, derived from the waste of olive oil production. Created for the Mediterranean Design Competition the project received a special mention at the Istanbul Design Week for innovative use of materials. More lately, a research group leaded by Maurizio Servili at Perugia University in Italy has been working on possible uses of olive mill leftovers to make building and fuel material. But olive oil’s exploitation can go even further. As already reported on Olive Oil Times by Julie Butler, Wrangler, the world-famous American manufacturer specialized in denim clothing, launched moisturizing jeans with olive oil, along with the soothing and “anti-cellulite” ones, based on aloe vera and caffeine. The moisturizing effect is guaranteed by the olive oil component squalene, a powerful hydrator that has the same structure to a lipid found naturally in human skin so that it can easily penetrate the upper layers. The French blog Passion Olive author Bastien Milhau collects stories and odd facts about extra virgin: like the olive liqueur traditionally made in the Gard – a southern France department in the Languedoc-Roussillon region – through the distillation of black olives in pure alcohol and sugar and brought back to life by a local craft distiller. In Apulia – at Italy’s southern far end – we can find another traditional olive liqueur made by extra virgin olive oil producer Cazzetta following an ancient recipe by the Basilian monks. The old recipe was found in an ancient underground olive mill and is made using grappa and local Cellina di Nardò and Ogliarola Salentina olives. A Spanish company recently launched Air-lift, a line of dental gums expressly conceived to fight bad breath, plaque and tartar thanks to a formula based on olive oil. A patented combination of extra virgin olive oil, xylitol and fluoride traps and flushes the VSC (Volatile Sulfur Compounds, responsible for bad breath) without altering the natural balance of the mouth. In Southern Italy where olive groves are common, locals used to make teas to take all the flavor and benefits from the olive trees without wasting the precious fruits. The most tender leaves were hand-picked and slowly dried under the sun or in special ovens ensuring the maximum content of anti-oxidants and oleuropein is maintained.